Hannah Christensen wrote Sock Wars when she was 11 years old. Sock Wars is a loving story about playing and enjoying every moment in life. The book has been beautifully illustrated by talented U.S. artist Erika Quiroz! 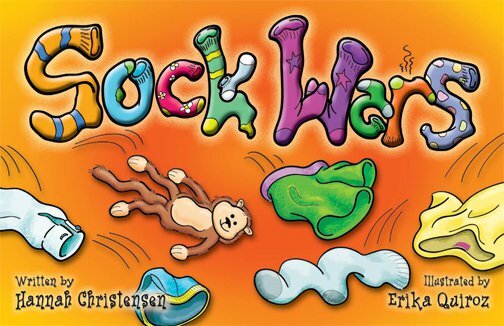 SOCK WARS the song was written/recorded by Trevor Strong of The Arrogant Worms! Proceeds from the sale of the book go to support children’s charity. This year our chosen children’s charity is the Free the Children Village of Bellavista, Ecuador. Order your copy of Sock Wars for $10 plus shipping! A big thanks to Global TV for doing a feature story on Hannah and her book. Over the past several years Hannah has presented her book for a number of literacy events/festivals and other organizations including Vancouver, Victoria and Fraser Valley Regional libraries, Story Time in the Park, Fusion Festival, Summer Dreams Literary Arts Festival, Word on the Street, Raise a Reader and more. 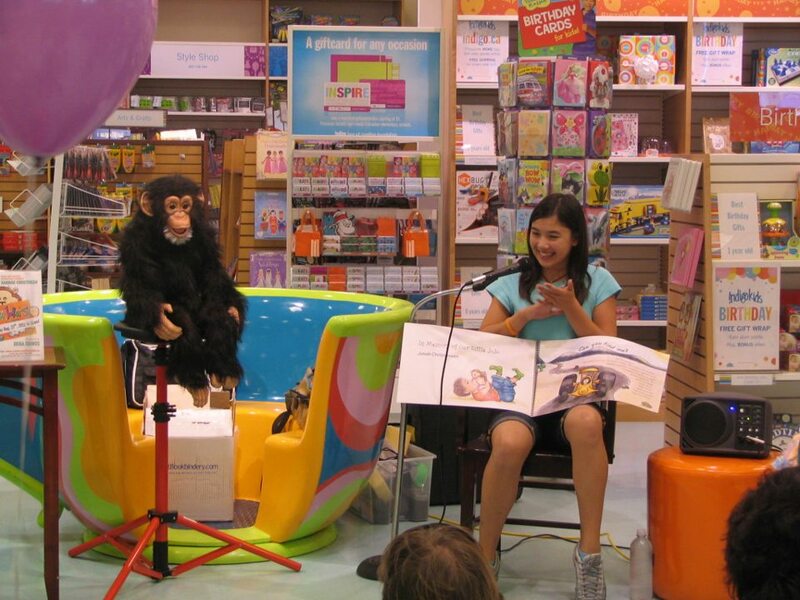 The following picture is from Hannah’s author reading/book signing at Chapters Vancouver Broadway location. Thanks for your continued support of Sock Wars and Celebrate The Child!